Citroën fired their World Rally Championship driver Kris Meeke and his codriver Paul Nagle “due to an excessively high number of crashes,” per a statement released by the team today. This comes less than a week after Meeke had one of the worst-looking crashes of his career at the attrition-heavy Rally de Portugal. Due to an excessively high number of crashes, some of which were particularly heavy and could have had serious consequences with regard to the crew’s safety, and given that the risks involved were unjustified by the sporting stakes at play, Citroën Racing WRT has decided to terminate the participation of Kris Meeke and Paul Nagle in the 2018 WRC. The decision becomes effective from the 2018 Rally Italia Sardegna and we will shortly be announcing the team’s line-up of crews for the remainder of the 2018 season. The entries of C3 WRCs for Craig Breen / Scott Martin and Mads Ostberg /Torstein Eriksen still stand for Sardinia. It’s unusual for a team to fire a driver and codriver pair this abruptly and to be this blunt about the reason they’re letting them go. 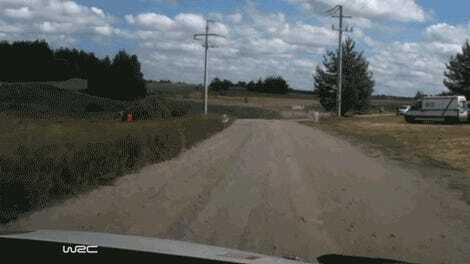 Footage of Meeke’s crash in Portugal. It was my mistake, I know, and we went just that little bit too wide and then into the trees. And any accident where a rally car has an impact with trees has the potential to be serious. 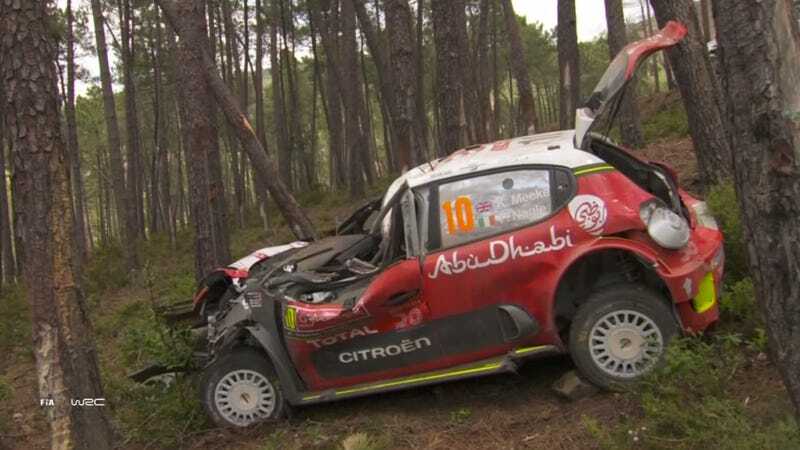 But in fact, the ‘scale’ of the crash wasn’t really any more than, say, Sebastien Loeb’s off in Corsica. 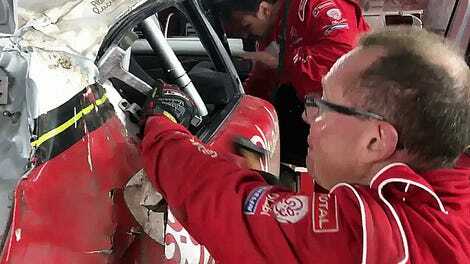 Citroen Racing builds a strong rally car; I know that and I have total faith in the team. And that trust was proven correct in Portugal because the roll cage did exactly what it was supposed to do - dissipate the energy of the impact, and keep Paul and I safe. The fact that only I had to go to hospital for a check-up after a bit of a sore back and neck - and was then discharged the same evening with a clean bill of health - is testament to that. Fortunately, Meeke and Nagle were able to walk away from that crash, and Meeke was only hospitalized for a few hours afterwards as a precaution to check over his neck and back. Modern rally cars are pretty damn cool. Yet the fact that it’s far from his only crash must have made this the last straw for Citroën, who point-blank said in today’s press release that they’re tired of fixing (and perhaps more importantly on the team side, paying to fix) Meeke’s cars. 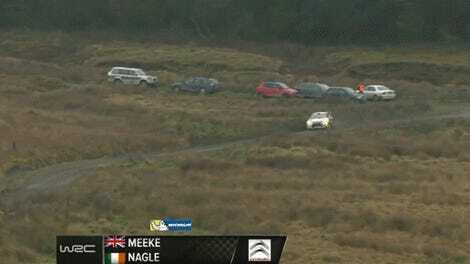 When Meeke gets things right, however, he is brilliant. His Rally Mexico win last year—after a brief off and detour through a parking lot—was downright legendary. 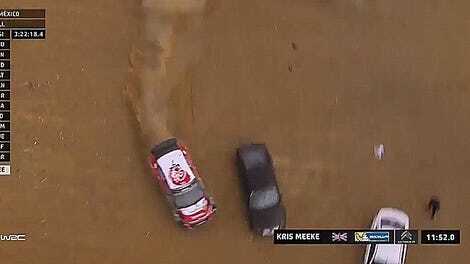 His pairing with frustrated Irish brogue of codriver Paul Nagle, always chewing Meeke out for such stunts and wrecks will be dearly missed, that’s for sure. The firing appears to have come as a surprise to Meeke, who posted on Facebook just eight minutes before we received Citroën’s statement that he was “we’re already looking forward to Sardinia in a couple of weeks.” Ouch. Craig Breen and Mads Østberg will drive the Citroën C3 WRCs for the team in the next rally, the Rally Italia Sardegna.